The Kansas-Nebraska Act repealed the Missouri Compromise of 1820 by allowing white male settlers popular sovereignty. This act was designed by Stephen A. Douglas and the initial purpose of the Act was to create the Transcontinental Railroad. The flooding of pro-slavery and anti-slavery elements led to Bleeding Kansas. Douglas hoped that popular sovereignty would ease the tension over the expansion of slavery. 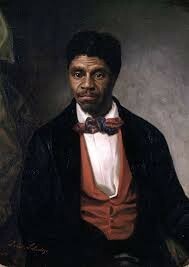 Dred Scott was an enslaved African American who was taken by his owner to free states and territories from pro-slavey territory. 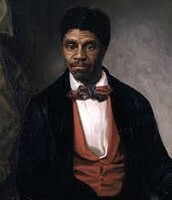 He attempted to sue for his freedom, but was rejected by Chief Justice Roger B. Taney. Chief Justice Taney says that African Americans, free or not, can never become citizens of the United States. On April 9, 1865, General Robert E. Lee and the Confederation surrendered to Lt. General Ulysses Grant and the Union. The surrendering of General Lee signaled the end of the Civil War and the end of the succession of the southern states. 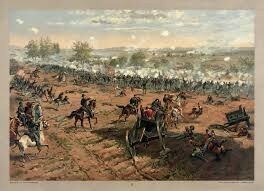 The Battle of Gettysburg lasted from July 1, 1863 to July 3, 1863. It was fought in and around Gettysburg, Pennsylvania. This battle involved the largest causalities of the entire war, and is known as the turning point. 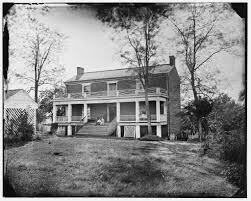 After the victory at Chancellorsville, General Lee led his army through the Shenandoah Valley to begin his second invasion of the North.